A couple of great new (old) photographs have come my way. 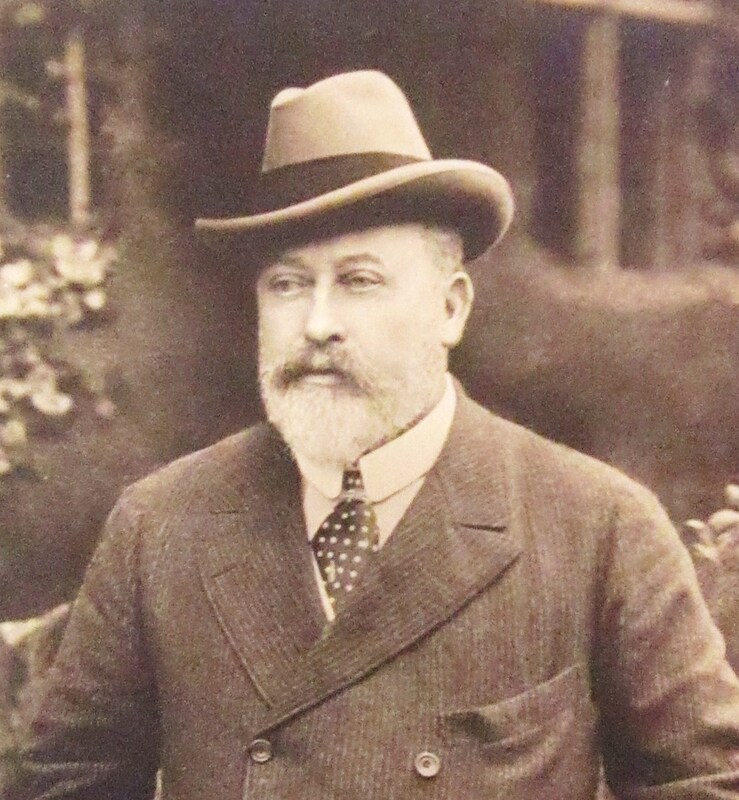 The first appears in the new piece ‘Felt hats 3.. the Homburg’ showing the then Prince of Wales in his new-style hat. The second, shown below, is an Edwardian photograph on a glass negative, five inches by four and a quarter….known in the trade as a ‘quarter plate’. Other regular sizes were ‘half plate'( six and a half by four and three quarters), ‘whole plate’ (eight and a half by six and a half), and ‘ten eight’. This is inches we are talking about here. Centimetres were never in the frame ! Printing paper came in these sizes, and much larger as well…12×10, 15×12 and 20x 16 were all sizes stocked by the average commercial darkroom. The larger size was always quoted first ! In another life, I was a photographic retoucher, long before the computer was invented, and when I first started we still worked occasionally on glass negatives ! Flexible negatives made of a light sensitive emulsion laid on a stiff gelatin base came next. These then had to be ‘printed’ to get a positive image. Photoshop and the like could not even be imagined back in the late 1950’s. 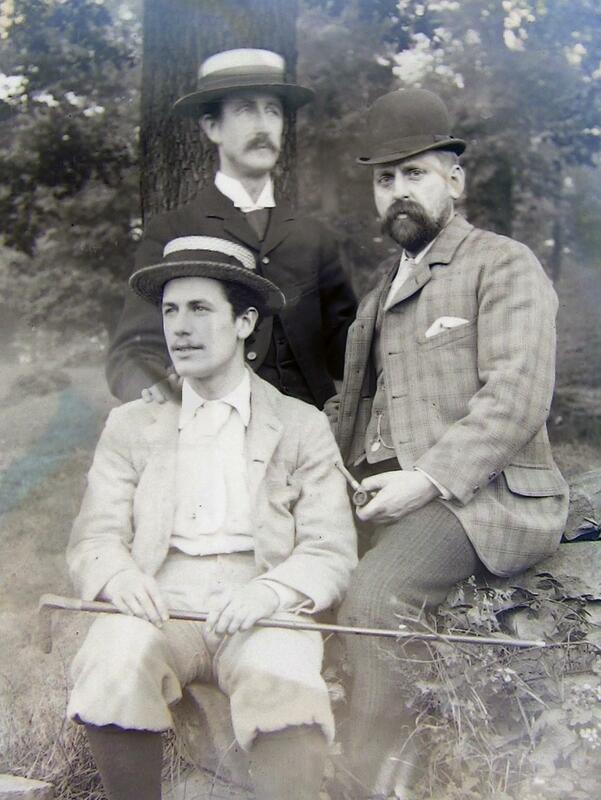 Three Edwardian gents, from a glass neg bought at Ardingly Antiques fair in 2015. £2 !! Not a very good reproduction of it, but the ‘billycock’ bowler and loud check jacket are so splendid I can’t resist showing it to you. The other two are wearing boaters, and all three seem to be smartly dressed…I wonder what the occasion was ? I should think the date is about 1910.